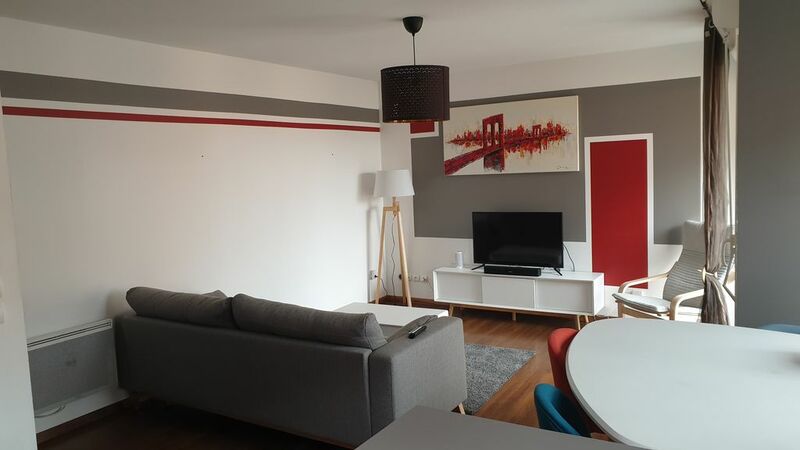 Beautiful modern apartment near the train station and tram. Close to the "Carré des Docks", the outdoor swimming pool "Les Bains des Docks". 15 minutes from the reconstructed UNESCO heritage city center and 10 minutes from the beach. You will be seduced by its comfort as well as its decoration.